Hawking And God: An Intimate Relationship : 13.7: Cosmos And Culture Hawking's recent claims about physics finding the answers to the origin of the universe are very far-fetched. They turn out to be based upon highly speculative theories without any obervational evidence. However, if we discover a complete theory, it should in time be understandable by everyone, not just by a few scientists. Then we shall all, philosophers, scientists and just ordinary people, be able to take part in the discussion of the question of why it is that we and the universe exist. If we find the answer to that, it would be the ultimate triumph of human reason -- for then we should know the mind of God. Hawking claims to have new and stronger arguments to knock God out of the picture once and for all. He claims to have found the answer. Stephen Hawking re-examines his theories on god, physics, and the origin of the universe in his latest book, The Grand Design. Hawking’s main idea, which has been known in one form or another since the '70s, comes from the marriage of relativity and quantum mechanics to explain the origin of the universe, i.e. of how something can come out of nothing. Essentially, the answer comes in two parts. First, that due to the gathering properties of gravity, the universe can be a solution of the cosmological equations with zero total energy. Hence the “nothing” where everything comes from. Second, that because quantum systems are always fluctuating (this is due to the quantum uncertainty), the universe could result from a zero energy spontaneous fluctuation from a soup of cosmoids, the possible universes that coexist in the timeless multiverse. In more plain English, the idea is that there is a timeless realm that contains all possible universes and that our own is simply one of them, with the right properties for surviving long enough to eventually create atoms, stars and life. I find it quite appropriate that just this Monday, the folks from the New York Times Week in Review pitched the ideas in my book A Tear at the Edge of Creation (which came out in April in the US) against those of Hawking’s. For I maintain that his arguments and those of anyone who claim that we have (or are close to) a complete theory of Nature (Hawking uses the so-called M-Theory, a string-inspired theory of everything) to be false and, unfortunately, deceiving. 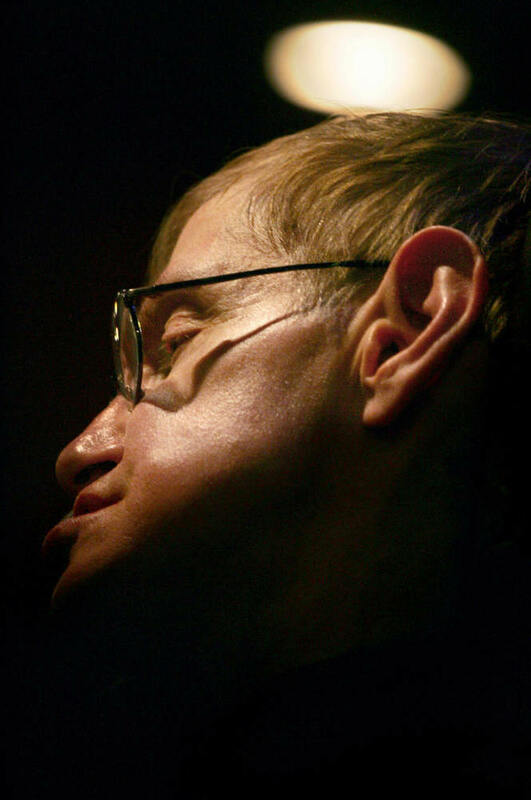 Furthermore, Hawking also claims that the universe is "just right" for generating living beings like us. Instead, I argue that life is rare (take a look around our solar system neighbors for stars and then look at the history of life on Earth, all that had to happen for multicellular organisms to thrive) and that complex, intelligent life much rarer still. If anything, intelligent life is a fluke in our universe, the exception not the rule. The theories that Hawking and Mlodinow use to base their arguments on have as much empirical evidence as God. It’s extremely misleading to promulgate highly speculative theories as the accepted word of the scientific community. Although I have enormous respect for Hawking’s work as a scientist — he’s one of the greatest of our generation without question — this sort of media hype is, to my mind, irresponsible. It was Einstein’s dream to discover the grand design of the universe, a single theory that explains everything. However, physicists in Einstein’s day hadn’t made enough progress in understanding the forces of nature for that to be a realistic goal. And by the time I had begun writing A Brief History of Time, there were still several key advances that had not yet been made that would prevent us from fulfilling Einstein’s dream. But in recent years the development of M-theory, the top-down approach to cosmology, and new observations such as those made by satellites like NASA’s COBE and WMAP, have brought us closer than ever to that single theory, and to being able to answer those deepest of questions. Well, one of the greatest challenges of those working in unified field theories derivative from M-theory is precisely to come up with anything that will bring their ideas closer to what the satellites COBE and WMAP have measured. In real terms, we have precious little: mostly ideas that have not, and some would say cannot, be verified, such as the notion of the multiverse or that there are infinitely many histories unfolding at the same time, each in a possible universe. So, if anything, such notions are very far from being tested or even from being testable at this point. I claim that contemplating a final theory is inconsistent with the very essence of physics, an empirical science based on the gradual collection of data. Because we don’t have instruments capable of measuring all of Nature, we cannot ever be certain that we have a final theory. There’ll always be room for surprises, as the history of physics has shown again and again. In fact, I find it quite pretentious to imagine that we humans can achieve such a thing. As I argue in my book, it’s much more realistic to take science as a self-correcting narrative where new theories spring from the cracks of old ones. There is no indication whatsoever that such modus operandi is close to completion due to the advent of a final theory. Maybe Hawking should leave God alone.